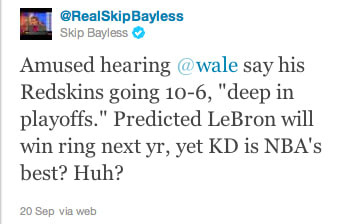 Complex Says: Wale appeared on ESPN First Take and made reckless statement after reckless statement. We know you're from DC, but the Skins going 10-6 with Rex Grossman at the helm? SMH. Must be something in the water. We might agree on those other statements, though.